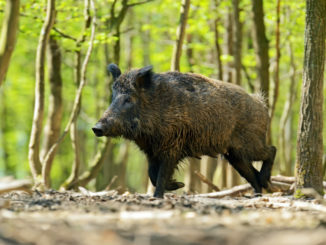 Would you shoot a wild hog with an airgun? Would you shoot a coyote with an airgun? How about a wild hog? Better yet, could you kill them with an airgun? Wouldn’t it be nice to have the ability to shoot these animals without the loud blast of a rifle or shotgun, which scares away other would-be victims to your marksmanship? Applications for permitted hunting opportunities, including waterfowl hunts, are now available from the N.C. Wildlife Resources Commission. Sportsmen can obtain applications by visiting the Commission’s website, a Wildlife Service Agent or calling 1-888-248-6834, Mon.-Fri., 8 a.m.-5 p.m. Application deadlines vary, starting in August. Feral swine are causing yet another problem for South Carolina’s natural resources, this time by interfering with prescribed burning. 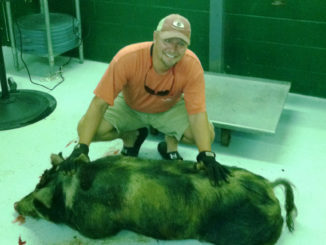 One recurring theme being discussed by hunters across South Carolina is the increasing number of wild hogs. 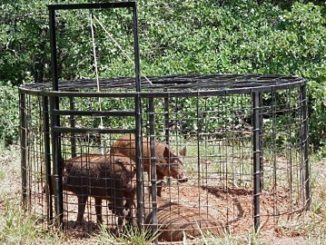 Biologist Charles Ruth of the S.C. Department of Natural Resources said the laws for harvesting wild hogs have been made much less restrictive in recent years to help reduce the growing population. 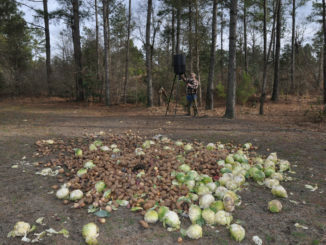 As part of the annual deer hunter survey, the S.C. Department of Natural Resources asks deer hunters to provide information on their wild-hog harvesting activities because so many animals are taken incidental to deer hunting. 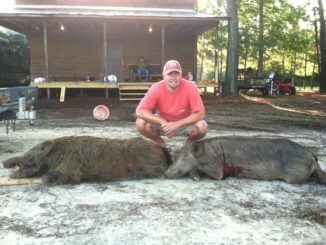 Hog hunting is a very popular sport in South Carolina and one that hunters can enjoy throughout the year, around the clock within certain parameters. 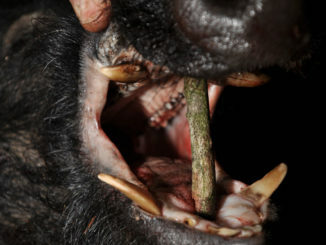 But there are hunters who hunt hogs — and then there are hog hunters. 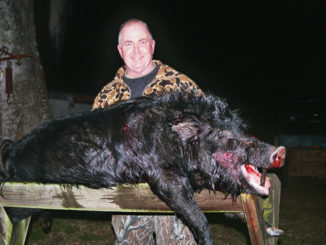 Shooting the first feral hog that steps clear from a group or “sounder” and offers a good shot would be fine for a hunter interested mostly in the meat, but for a hunter looking for a trophy boar and a full head mount or skull mount, it requires steady nerves to find the one with the longest tusks. 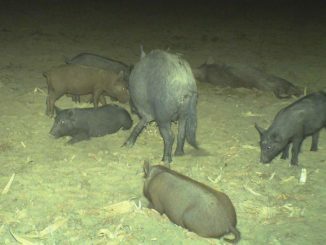 To attract massive numbers of hogs and hold them in the vicinity, hunters should use lots of bait. Many hunters feel as though they’ve lost their best friends during the downtime between the end of deer and bear season and the beginning of spring turkey season. However, those who want to continue to experience the thrill that only seeing a large animal brings are increasingly turning to feral hogs. 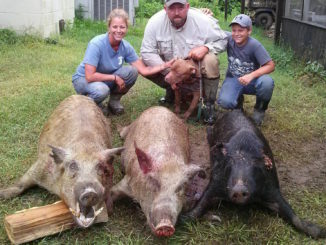 Hogs are a known nuisance to farmers, landowners, and hunters. They do damage to crops, food plots, and take away food sources and habitat from other game animals. Fortunately, they offer good sport to hunters, and are tasty on the plate. Though they aren’t the most desirable animals for a number of reasons, they do add another game animal for hunters to pursue. 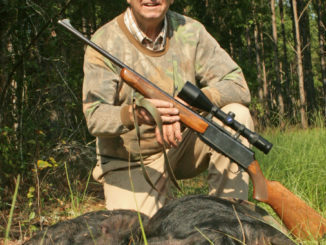 Biologist Charles Ruth said hog hunting is a bonus opportunity when deer hunting on WMAs and is often very good.